Such a clean and spacious completely new apartment! Wow! The place was much bigger than we expected! Huge balcony as well! Great airco system and super quiet area! We raced half triathlon here and it was just perfect! Hosts were so friendly! They even printed our boarding cards! 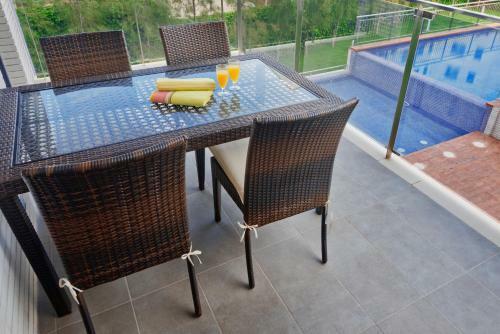 We have stayed at this apartment 4 times which explains all- it's a lovely modern apartment clean with good facilities.Short walk to the beach and restaurants but still in a quiet area. We would add that the hotel staff where the keys are picked up are very welcoming and helpful. We have been here three times excellent spacious apartment. Quiet area. It close to the beach and restaurants. Will be back ! Comfortable beds and pillows, good location, quiet, safe and secure! Very friendly reception. 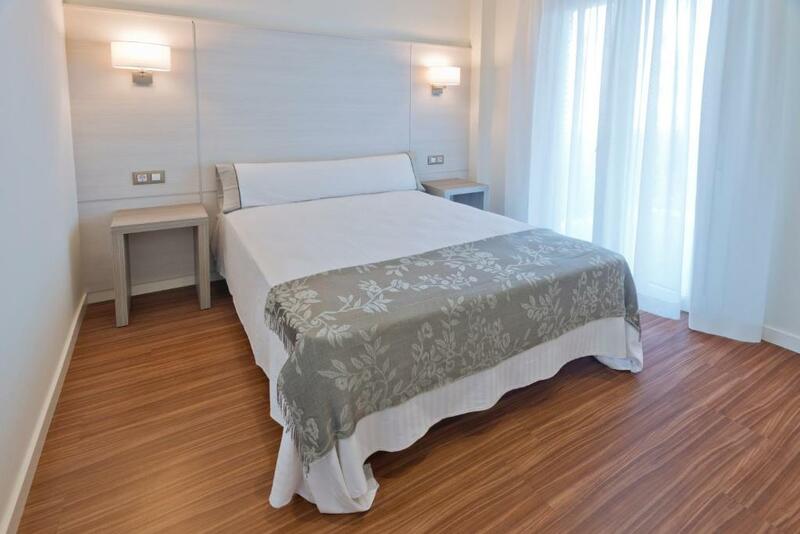 The apartment clean and spacious well equipped (except hairdryer) close to beach and restaurants. Would recommend ! Большие светлые апартаменты, закрытая территория, кухня отлично оборудована, есть посудомойка и стиральная машина. Нам было очень комфортно там жить. Отличный вариант на долгий срок проживания. El estado del apartamento muy bien. Además que esta muy bien comunicado. El apartamento es muy amplio , y luminoso con una buena distribución . Мы отдыхали в сентябре. Апарт-отель был почти пустой, поэтому мимо наших окон никто не ходил (об этой особенности кто-то писал ранее в отзывах). Такое необычное расположение номеров, не так критично,как мы себе это представляли. Балкон (большой, солнечная сторона, вид на супер бассейн, красивая мебель). Кухня ( индукционная плита, посудомойка,стиральная машина - супер!) Пляж (можно дойти минут за 10-15 (и это будет лучшая часть пляжа Салоу) Супермаркет Меркадона тоже близко 10 минут. Lock in a great price for Apartamentos Norte 14 – rated 8.6 by recent guests! 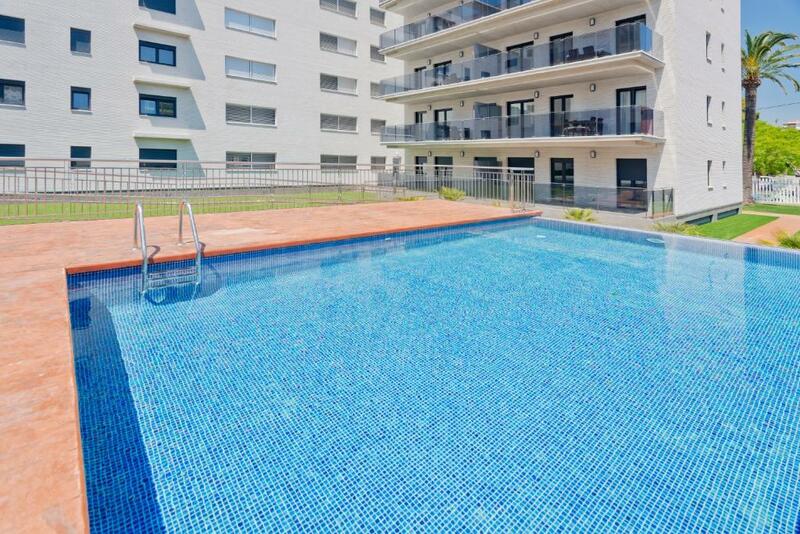 One of our top picks in Salou.Located just 1,000 feet from the beach in Salou, Apartamentos Norte 14 offers a communal outdoor pool and apartments with air conditioning. 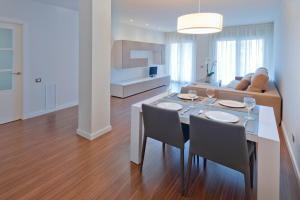 Barcelona-El Prat Airport is located 58 mi from the property. 뀐 Located in the real heart of Salou, this property has an excellent location score of 9.2! 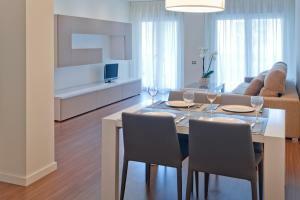 When would you like to stay at Apartamentos Norte 14? 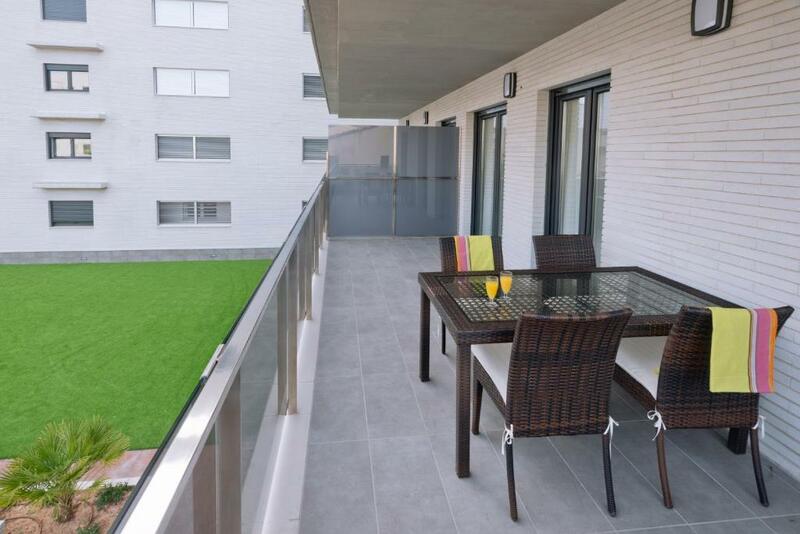 This modern apartment comes with a TV and a furnished terrace. There is a full kitchen with a dishwasher and a microwave, and the bathroom comes with a bath or shower. You can enjoy a garden view from the apartment. 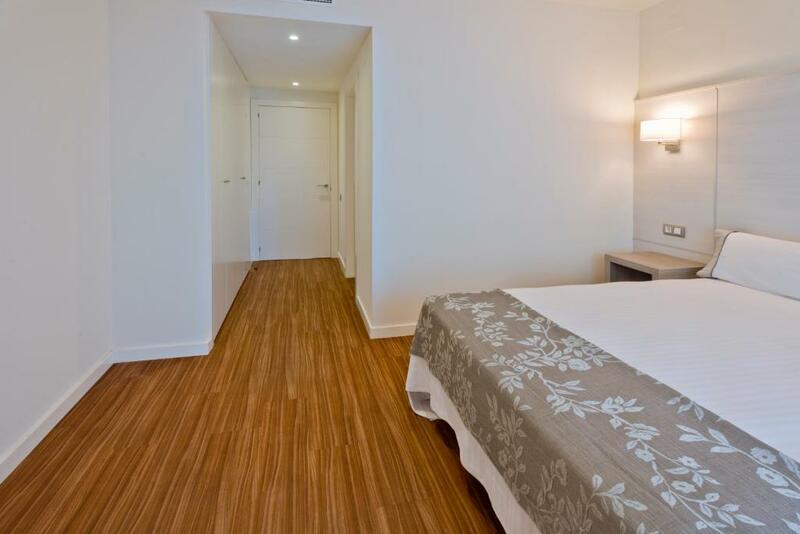 There is 1 double bedroom and 1 twin bedroom. This apartment has a sofa, dishwasher and air conditioning. This apartment features a stovetop, washing machine and sofa. Somos una inmobiliaria de carácter familiar. A pesar de que nuestro fuerte es la venta,sólo trabajamos el alquiler "vacacional " con producto propio. El motivo es controlar el producto que ofrecemos, y que controlamos perfectamente las características del mismo. Nuestros bloques en alquiler tienen dos cosas en común : buena ubicación y siempre pocos vecinos , un máximo de 30 pisos.Estamos orientados a familias que busquen tranquilidad, lejos de la zona de ocio. 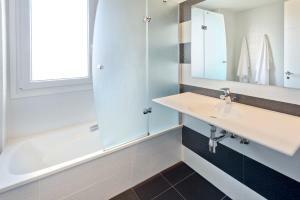 House Rules Apartamentos Norte 14 takes special requests – add in the next step! Apartamentos Norte 14 accepts these cards and reserves the right to temporarily hold an amount prior to arrival. Key collection is available from Monday to Saturday, 09:30 - 13:30 and 16:00 - 20:00. If you expect to arrive outside of these times, you must contact the property directly in advance to arrange check-in. Please note that check-in and key collection take place at: Hotel Regente Aragon, calle Llevant número 5, Salou, Salou 43840. Please inform Apartamentos Norte 14 of your expected arrival time in advance. You can use the Special Requests box when booking, or contact the property directly using the contact details in your confirmation. Trash bins in the bathroom and towels in the kitchen wold have been nice. Temperature in the flat when we arrived was a bit high but we adjusted it quickly. A welcome pack of milk, coffee and bottl of orange juice. Some info on where to buy provisions and little extra kitchen equipment Would make it perfect! !